The purpose of using digital document in your office was to make your life easier. No more piles of paper clutter and less time filing and searching for documents are just a few of the benefits you’ve noticed. Unfortunately, your life may become difficult if the information on a paper can’t be read by the scanner and this goes unnoticed before it’s destroyed, then it’s lost forever. Here are four easy mistakes to avoid when you’re transferring your documents into a digital format. 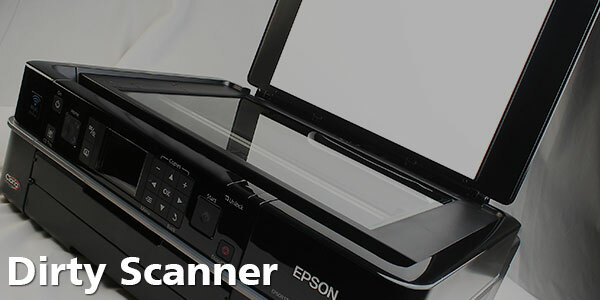 Making sure your scanner is in proper working order before you start a big project will save you time later. Scans that come out looking smudged or with specks means that it might be time to clean the scanner. Scanners can build up with dirt, toner, carbon, chemicals, and other debris. Cleaning your scanner is a fairly easy task. You can usually buy cleaning kits online from the manufacturer or a reseller. Documents printed on colored paper may appear completely black when scanned in black-and-white. Try to avoid printing on colored paper but, if you must, make sure to preview how the scanner reads the paper before you finalize it. 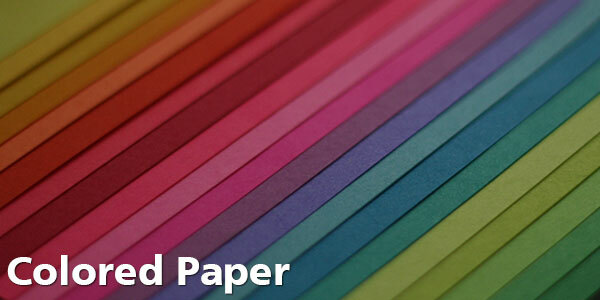 If possible, you may need the ability to scan in color if colored paper is common your office. If you’re doing a black-and-white scan of text that’s highlighted in blue or any other dark color, it will show up like it’s been marked by a sharpie. 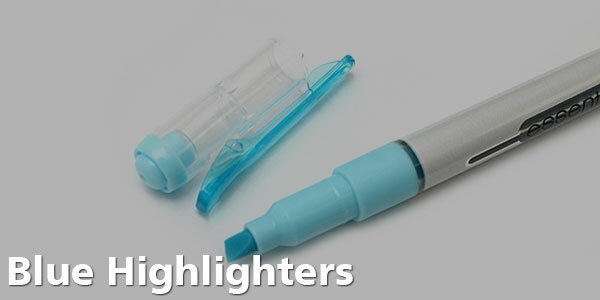 If you must highlight a document before its scanned, make sure to use a yellow highlighter. And always check to see how highlighted text shows up on the scanned document before you finalize it. You’d be surprised how often blank pages can appear in a file. 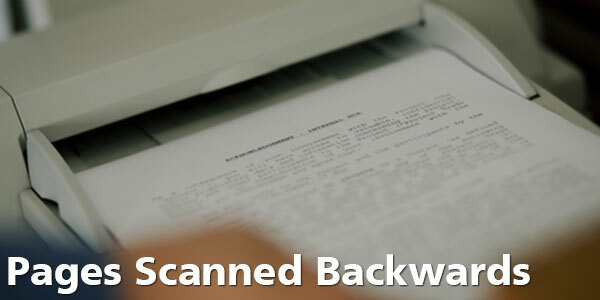 If you’re scanning multiple pages for a single document, it can be easy to scan the back side of a paper document you wanted if you aren’t paying attention. Many scanners use a custom client with thumbnails—take a look at those to make sure you don’t get blank pages. Again, always check the final product before getting rid of the original copy. It’s best to get into a habit of reviewing scanned documents before finalizing them and destroying the paper copy. Spot checking and ensuring your scans have come out well enough takes little time and will save you frustration down the road. If you’re interested in letting us worry about all of this for you, click here to get started. Have you made any mistakes while scanning? Are there any other best practices we didn’t cover? Tell us about it in the comments!